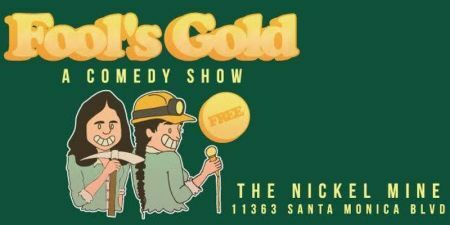 Hosts Salma Zaky & Katie Green present Fool’s Gold Comedy–a free stand-up comedy show featuring comedians from TV, film, and local comedy clubs. This secret show is located behind a hidden bookshelf at The Nickel Mine, a trendy bar in West LA. There are a limited amount of seats so get your tickets before they run out!